The address for the site above is http://www.verizonwireless.com/hfmail. From the Conversations tab, click Message Center Storage (lower-left corner). 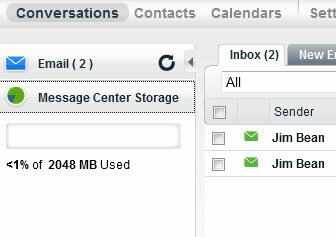 The Message Center Storage information is displayed (on the left).